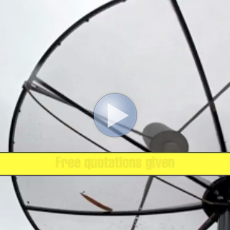 Based in Solihull, DFB Aerials specialies in the installation and repair of TV aerials and satellite systems, covering the Solihull, south Birmingham and Stratford upon Avon areas. With over 9 years experience in the TV and Satellite industry we offer a friendly, reliable and professional service and are competitively priced. DFB Aerials is a registered Digital Installer (No 18265602) which means we are fully trained in Digital installations and are also KHBA approved.